Welcome back to another Stampin’ Creative Blog Hop. I’m not sure where half the year has gone! I can’t quite believe we are heading into July next week, but this mean we have a new catalogue and lots of new products to enjoy! So this month we are ‘CASing’ (Copy And Share-ing) the new 2015-16 Catalogue. Its currently one of my new favourite go to products and seems to be ending up on every card I have made recently. I have used the gold on the Tip Top Taupe card and silver on the Watermelon Water card. Thanks for stopping by, if you click this image it will take you on to the very talented Mikaela – enjoy! Oh I love these, so simple, so effective, and dare I say it, even more striking than the cattie version!! Thank you Eimear, very kind comments! I think sometimes I forget less can be more. Emma, I LOVE these – can I CASE your CASE please?!?!? 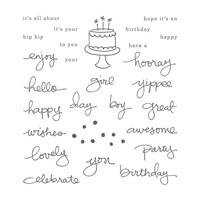 I now have to add Endless Birthday Wishes to my next order just for those dots – love them!!! I too am getting twisty with the metallic thread – it’s so fine, and looks stunning I think. 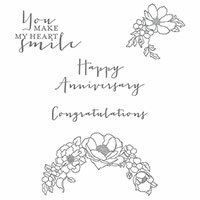 Way to dress up a really beautiful, but simple card into something amazing!! How fab Emma! The anchor card really does it for me! Perfect!